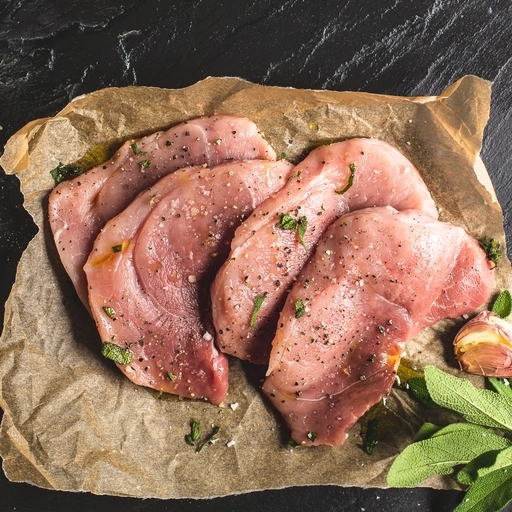 Our organic pork escalopes are juicy, lean and quick to cook – an easy midweek meal. We cut them from the leg for best flavour, hand trim and slice them thinly so they cook in minutes. Approximately 4 pork escalopes per pack.